Posted by Sam Smith on Saturday, December 8th, 2012 at 2:37pm. Big Canyon is one of my favorite areas in Newport Beach. It's almost like going back in time with large mature landscaping that surround luxury homes and condos in the heart of the city and across from the Fashion Island shopping center. The center of it all is the Big Canyon Country Club that is world known as a premier golf course in California. The luxury homes that surround the golf course are well into the multi-million dollar range so for those looking for a lease expensive alternative then Big Canyon condos are your best bet. Condos in the Big Canyon area consist of Big Canyon McClain and the Big Canyon Villas. Big Canyon McClain condos currently range from the mid $500,000 to the mid $600,000 range. The condos are town home style condos with the living spaces on the main level and bedrooms up above. The condos come with attached decks and fireplaces with select units offering great views of the Big Canyon Golf Course. I have had clients looking specifically for these golf course view condos and they typically sell very quickly after coming on the market. 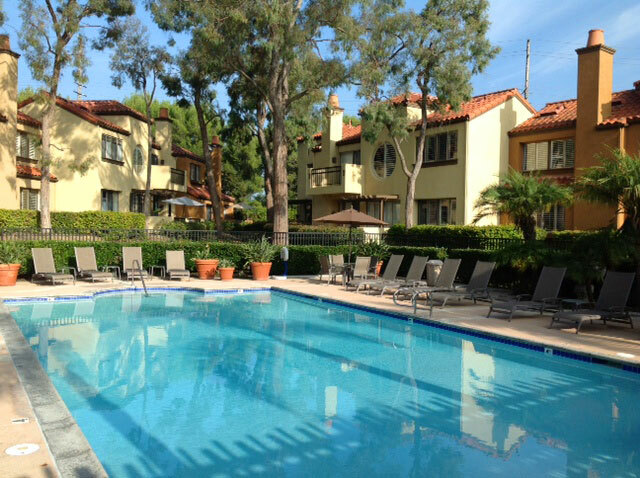 The community has a nice community pool, spa and tennis court and located directly in the middle of Newport Beach. Another choice would be the condos located at the Big Canyon Villas. The Villas is a small community of just 78 style town homes that will be slightly more expensive than the Big Canyon McClain. The community is located on the corner of MacArthur Blvd and One Ford Road which is a great central location. Currently condos range in the mid $700,000 range for 2 to 3 bedroom town homes. The homes are built in the Spanish and Mediterranean style and offer 2 car garages as well. Both of these communities are excellent choices when looking for a condo in Newport Beach.